The eagerly-anticipated EOS 5D Mark IV, the newest addition to the EOS 5D family, has been announced. A successor to the EOS 5D Mark III, the camera has been designed using first-hand feedback from the photographic community. Featuring a 30.4 megapixel CMOS sensor with wide exposure latitude, 7 frames per second (fps) high-speed shooting, internal 4K movie recording and built-in Wi-Fi and GPS, the camera combines speed and resolution with excellent low light capability and movie functionality. The EOS 5D Mark IV is also the first EOS camera to premiere the innovative Dual Pixel RAW file format, allowing photographers to fine-tune images in post-production by adjusting or correcting the point of sharpness, shifting the foreground bokeh or reducing image ghosting. Canon adds the EF 24-105mm f4L IS II USM and the EF 16-35mm f2.8L III USM to its zoom lens lineup. A flexible and durable everyday lens, the EF 24-105mm f4L IS II USM is ideal for any photographer wanting to achieve high edge-to-edge sharpness over the entire zoom range. The 24-105mm focal length and f4 aperture suits for a variety of scenes, subjects and lighting conditions, while improved 4-stop IS and a new video design EDM provides quiet aperture adjustment during movie capture. Canon has announced the Wi-Fi Adapter W-E1, a dedicated Wi-Fi adapter for Canon’s EOS 7D Mark II, EOS 5DS and EOS 5DS R. The new accessory gives you the freedom to transfer shots directly from compatible EOS DSLRs to iOS and Android smart devices and computers whilst on-the-go. It also offers remote shooting, perfect for capturing unique angles, landscapes or wildlife. Portable and lightweight, the Wi-Fi Adapter W-E1 is the size of an SD card and fits into the memory card slot of compatible dual-card slot EOS DSLRs. Photographers can review and display images on a tablet or monitor, upload to the web from smart devices, and save a copy whilst out on location. Firmware Version 1.1.2 for the EOS-1D X Mark II incorporates the following improvements. • The addition of a selectable color-tone option for the LCD monitor. • The addition of a function to append IPTC data. • The addition of a function to transfer only protected images. • The addition of a function to set the GPS positional data retention period. • An increase in the number of network connection settings that can be saved to a memory card from 20 to 40. • When retrying FTP transfer, extension of the minimum auto power off time to 10 minutes. • Improvement of wireless transmission when using Wireless File Transmitter WFT-E6. Canon has won four product awards from the European Imaging and Sound Association (EISA). 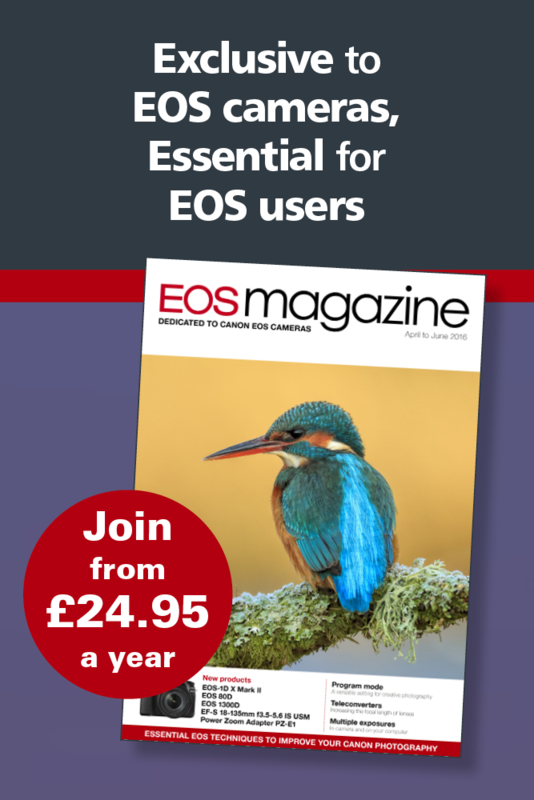 The EOS 80D has been named the ‘European DSLR Camera 2016-2017’, while the EOS-1D X Mark II took the title of ‘European Professional DSLR Camera 2016-2017’. The EF 35mm f1.4L II USM and the imagePROGRAF PRO-1000 received awards for ‘European Professional DSLR Lens 2016-2017’ and ‘European Photo Printer 2016-2017’ respectively.